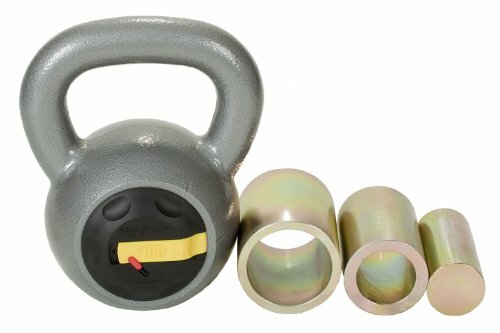 The Rocketlok kettlebell has revolutionized the adjustable kettlebell class. This sleek patented design retains the traditional shape and maintains the center of gravity at all weight levels. The body is made from cast steel and the weighted interior cylinders are milled from solid steel. A molded polyurethane cap with easy slide locking mechanism keeps the weights safely secured. Solid cast steel body and handle with weighted interior cylinders milled from sold steel. Molded polyurethane cap with easy slide locking mechanism keeps weights safely secured. If you have any questions about this product by Rocketlok, contact us by completing and submitting the form below. If you are looking for a specif part number, please include it with your message.